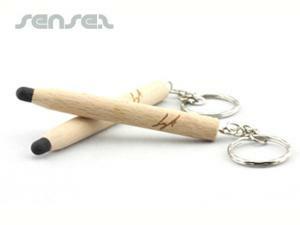 Nothing suitable in promotional eco pens? 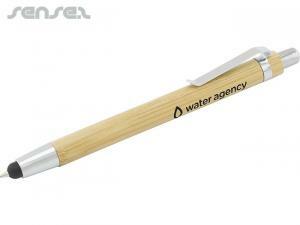 Environmentally friendly pens make great corporate give aways. 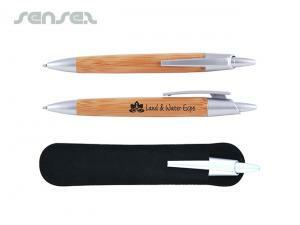 Promotional enviro Promotional Ball Pens are ideal for the office, as they show your company cares for the environment and shows that it is doing the right thing. Eco pens with your custom logo print or design are made of a innovative range of environmentally friendly materials, such as corn starch plastics, recycled cardboard, recycled plastics, biodegradable plastics, recycled newspapers. The possibilities of making pens with environmentally friendly materials are endless and it really is easy these days to find a stylish Promotional Pens that is made out of environmentally friendly materials that are sustainable for the environment. 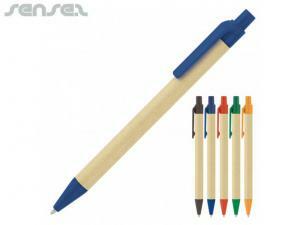 We have a huge innovative range of environmentally friendly pens or Eco - friendly pens to choose from such as recycled newspaper pens or recycled newspaper color pencils with your custom logo print allover. We can even package them in stylish new tube boxes made out of recycled newspaper. 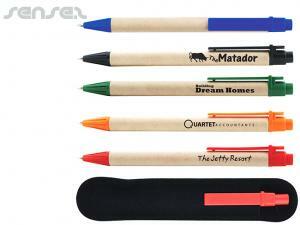 Or recycled plastic custom unique promotional pens are made out of recycled plastics and come in a innovative range of colors to suit your corporate identity. new Pens made out of corn starch are a fun product; they decompose very quickly when in landfill as they are made from actual corn! Custom print any of our environmentally friendly pens and show your customers that you mean action when it comes to caring for the environment!